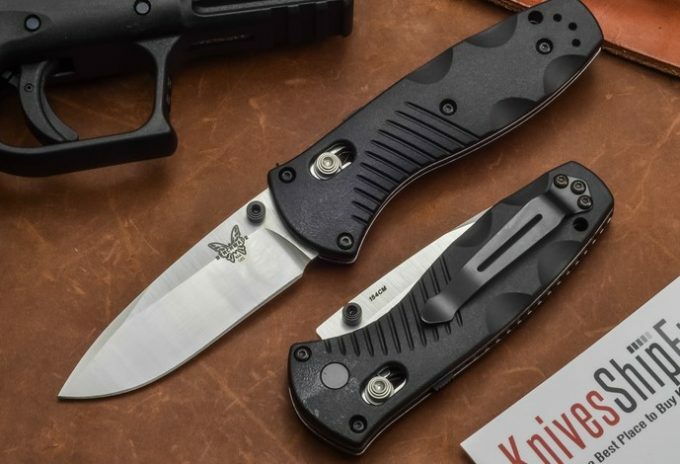 If you are a fan of high-quality knives for outdoor use, then you must be a fan of the Benchmade Knife Company for their top-notch quality products. But, don’t you find it hard to make the right choice out of so many? 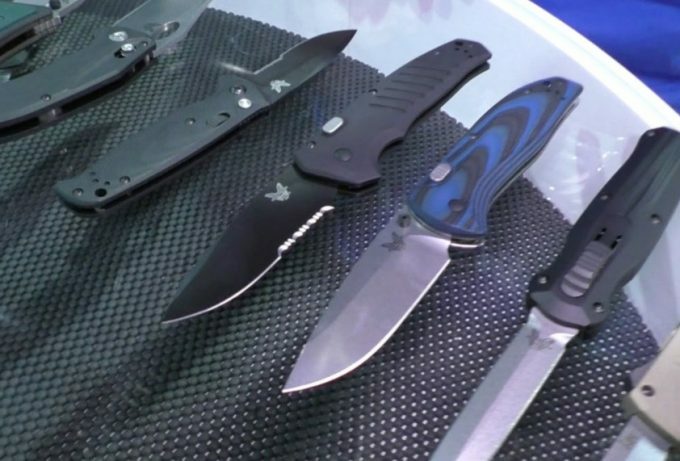 We’re here to guide you through the buying process for the best Benchmade knife for your needs! The knife you choose needs to be lightweight, durable, and to have a sharp blade that can be easily opened if it’s a folded knife. The handle should be strong, corrosion resistant, and easy to grip. Our review will tell you what features to consider when choosing the best knife for your needs. That’s why we’ve decided to do an in-depth article about Benchmade knives. Apart from listing the features we believe may matter most when buying a knife, we’ve also included the reviews of the most promising knives on the market. 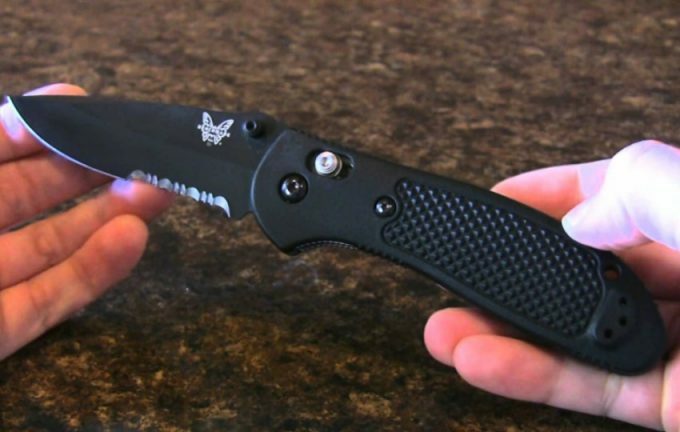 Here are a few things we think may matter the most when it comes to buying the right Benchmade knife. You want to buy as lightweight a knife as possible, but that is still of high quality and highly functional. Obviously blade length will vary quite a bit, so you need to think about what you will be using the knife for. A small lightweight knife is probably good enough for everyday use. A smaller knife and blade has the advantage of being easier to carry around with you on an everyday basis. However, if you want additional strength you may need a heavier knife with a longer blade. 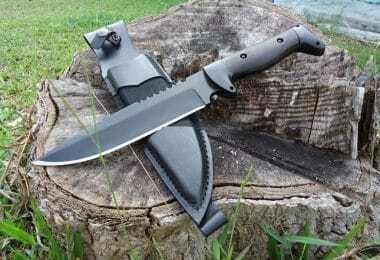 If you plan on going on a hunting or camping trip then a larger stronger knife may be preferred. Although, some people may actually prefer using smaller knives for hunting. It really may depend more on the type and strength of the blade than the size of the knife. What type of handle does the knife have? When asking yourself this, think about the material that is used to make the handle. You want a handle that is corrosion resistant and strong. Ensure that the handle is moisture resistant and strong. 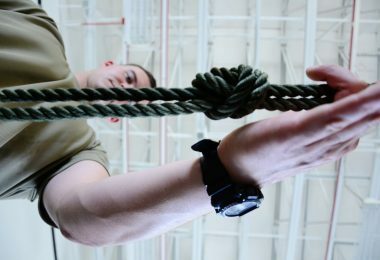 It also needs to be easy to grip and not likely to simply slip out of your hand. Some of the knives have finger holds which are very convenient and ensure a strong steady grip on the knife. The thickness of the blade is important as this makes for a stronger knife that will last longer. However, a thicker blade means a heavier knife, so you need to decide if this is that important. Also consider whether you want a knife you can fold or a fixed blade? If you choose a folded knife you need to ensure that it can be easily opened with one hand, and will lock firmly into position when open. The type of knife blade is also very important because each type has its pros and cons. A clip point blade, for instance, is popular in many pocket knives and fixed blade knives as it has plenty of cutting edge and a sharp and controllable point. The point though is narrow and weak compared with some other types of blades, such as the tanto which does have a strong point for piercing tough materials but then does not have much edge for cutting. The spear point has a very strong, sharp point but has a very little cutting edge; the sheepsfoot, on the other hand, doesn’t have a point but rather a large cutting edge. Clip point and drop point blades have a mix of cutting edge and sharp points. The drop point has a large edge for slicing, so makes a great hunting knife. It obviously also depends on your budget with the price range varying quite considerably from the very low to the very high. It really depends on what you want, how you will be using your knife and how much you are willing to spend. We have given you several questions you should ask yourself before considering what wallet to buy. Bearing all of this in mind, now it’s time to go over some more popular products on today’s market. 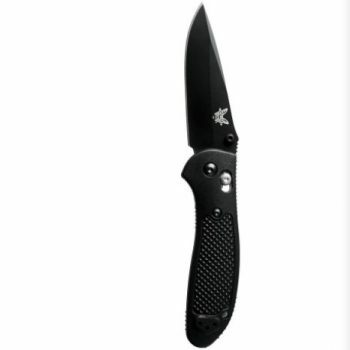 We have provided reviews below on the best Benchmade knives on the market today. 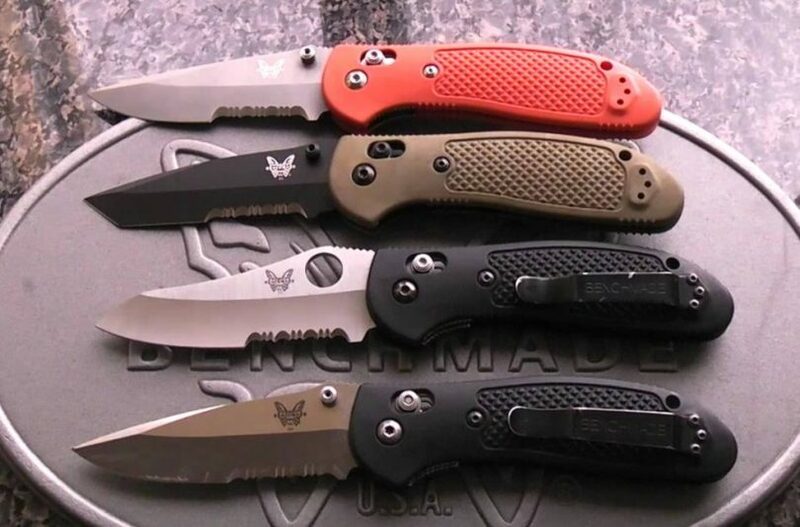 Reading these will help you to decide which Benchmade knife will best suit your needs. 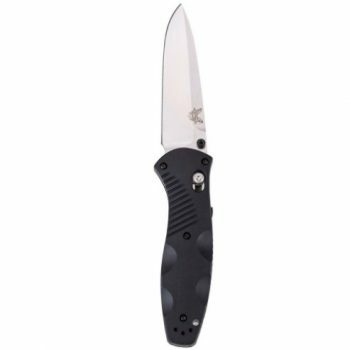 Description: The Benchmade – Griptilian 551 Drop-Point Knife has a strong, high quality 154CM stainless steel blade that is rust resistant. This means the knife stays sharp longer and is tough and durable. The handle is made of glass-filled nylon, which makes it both very strong and attractive. The blade is very sharp and won’t be damaged even if you drop the knife on concrete. It has a drop-point utility blade style and all-around functionality for use in a range of applications. Since this is a drop-point blade it has a large cutting edge for slicing and a strong point. This knife is manual and can be opened and closed single-handedly. The AXIS lock is very strong and is ambidextrous. It is very easy to open with one hand, and can’t be locked closed. This may be a concern if you have small children around. It is a lightweight black colored knife with comfortable handle grips. There is a hole for a lanyard to attach to, and a standard black metal clip type with a reversible clip position. The knife is black and comes with a coated finish or plain edge. Related: The knife does not sell with a sheath, so it would be a good idea to purchase the Case Trapper Sheath which takes blades up to 5 inches long. It is made of genuine leather and provides a secure place for your knife; it can be attached to a leather belt for a nice smart look. 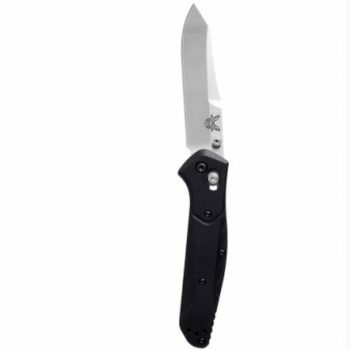 Description: The Benchmade – 940-2 Reverse Tanto Knife is a plain edge color. It is made of CPM-S30V (58-60 HRC) premium stainless steel with excellent corrosion resistance. The tanto blade has an extremely sharp point and limited slicing edge (“belly”). The sharp point is good for situations where you need to pierce hard materials. This knife is also of robust build and it has exceptional edge qualities. The knife G10 handle is made of materials that make it very durable and strong. It has a glass-reinforced handle which is impervious to moisture. The handle is very strong and can stand up to a range of temperatures. It is a larger knife than some but does still feel slim and narrow. Some may find the grip a bit slippery compared to other knives, but at the same time, it is not so textured as to ruin your clothing when placed in a pocket. The handle includes an ambidextrous designed AXIS lock and reversible tip-up clip. The lock has two omega-style springs that provide the locking bar the inertia to engage the knife tang. It is not a spring-loaded but rather a manual opening mechanism. You can flick the knife open using your wrist or thumb. 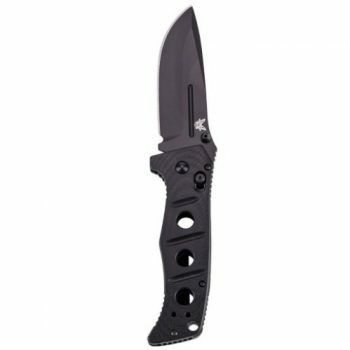 Related: The knife does not come with a sheath, so it is a good idea to purchase the Blade4sell Matte Black Titanium Pocket Clip that is designed to carry Benchmade knives of this size and make. Constructed of titanium alloy it is strong and sturdy. It is custom made for your knife when you order it, which is very convenient. Description: The Benchmade – Hidden Canyon Hunter 15016-1 Knife is a full tang, fixed drop-point blade knife, which means it is potentially a knife that is of greater strength and reliability than a folding knife and easier to clean. The blade is made of CPM-S30V stainless steel, with excellent edge qualities, stability, and corrosion resistance. The knife has a strong G10 handle for easy gripping and a very sharp blade. The knife is nice and compact and comes with a Kydex sheath which fits the knife exactly. It is a bonus that this knife comes with a sheath unlike some of the other knives sold by Benchmade. This Kydex sheath is also fully ambidextrous, very durable and can attach horizontally to a belt. The small size allows you to save space and the blade is designed for skinning and removal of meat when hunting. The blade is a drop-point with a large radius and is perfect for skinning and quartering a deer, so is perfect for hunters. The G10 handle is very strong and durable and resistant to environmental stresses. Related: If you do not want to attach the knife sheath to a belt then you can buy a separate UltiClip, which comes in a black color with a military grade oxide finish and C-1075 spring steel. This is American made and designed to clip to your clothes, so you can clip the sheath into this clip. 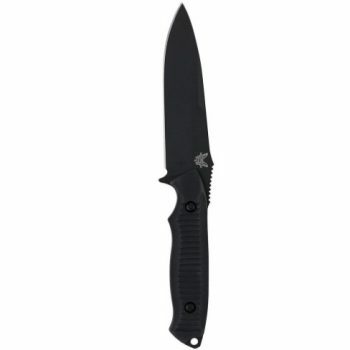 Description: The Benchmade – Nimravus 140 Knife has a drop-point style blade. The blade is constructed of excellent premium American made steel, 154CM (58-61 HRC) with aluminum handle scales. The blade is corrosion resistant, tough and has superb edge quality. The fact that it has a drop-point blade means it can be very good when used for hunting. The knife handle is made of 6061-T6 aluminum, which was originally developed as a premium aircraft-grade aluminum. This material provides the handle with toughness and solidity with minimal weight. This knife is well constructed and of very high quality. It comes with lanyard holes and a MOLLE compatible sheath with a malice clip. The sheath is multifunctional and made of nylon. The sheath comes in sand or black, whichever color your knife handle is. The sheath is designed for use with MOLLE gear but can also be used on a belt. When used on a belt, the knife is placed at a comfortable level but, tends to be a bit on the loose side since it is made of nylon. The sheath is really made for military use on MOLLE gear for which it works well. The sheath has heavy stitching and hard lines to stow the knife securely, snap-around closure attaches firmly to the handle. It weighs 5 oz which adds quite a lot to the amount of weight you have to carry. Related: If you are concerned about the sheath not fitting securely on a belt, then you may want to place the sheath into a Blade-Tech Tek-Lok with Hardware, which is a belt clip. This is a secure and strong clip that can be attached to a belt from 2.25 in to 1.25 inches. 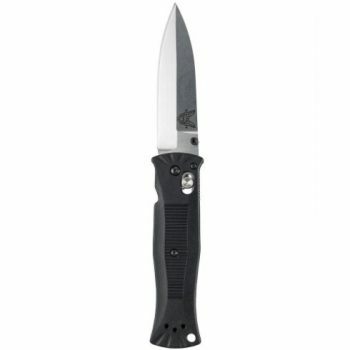 Description: The Benchmade – Adamas 275 Drop-Point Knife is a black metal knife that is rugged and comfortable. It is on the heavy and large side compared with some other Benchmade knives, but it is considered the strongest. The knife also has a thick blade and is very durable and strong. It is also compatible with all MOLLE gear and comes with a lanyard hole and a deep-carry reversible tip-up pocket clip. The drop-point utility blade is made of a very strong D2 (60- 62 HRC) stainless steel and comes with an exceptional edge. The knife blade is extremely strong and has a large area for slicing, which makes it a perfect hunting knife as well. The knife handle is the G10 which is stable over a range of temperatures. The G10 handle scales add to the overall strength of the knife. The handle is also thick and sturdy for durability and toughness. The handle provides a good grip surface as it has finger holes. It has an ambidextrous AXIS lock. This AXIS lock allows the knife to be single-handedly opened and closed with ease. It does stay in position when locked. The knife comes with a matching sand or black Cordura sheath which has snap retention and a malice clip. This knife is very large and long, it locks well and stays in position. Related: Since this is such a large, heavy knife it may be a good idea to buy some oil to lubricate the opening and closing mechanism to ensure easy opening and closing of the knife. We recommend buying the Sentry Solutions TUF-GLIDE. A little goes a long way so this oil will last you quite some time and you can use it to oil your guns as well. 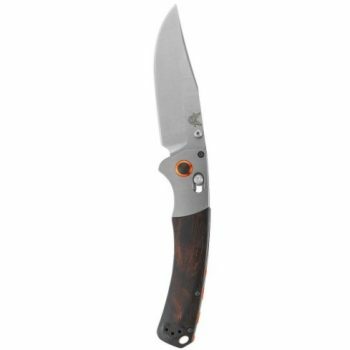 Description: The Benchmade – Crooked River 15080 Knife is made of tough well-balanced CPM-S30V stainless steel. It is an attractive, rust resistant knife with a superb edge quality. The blade is a clip-point type with a good cutting edge and a sharp point. The blade is very sharp and well-constructed. It is very long compared to some other knives and it also folds to a fairly large size. Carrying this around every day may be a challenge for some who would prefer a smaller folded sized knife. The handle is made of stabilized wood that has been treated to be resistant to environmental stresses. The AXIS lock is ambidextrous and very strong, allowing for easy one-handed opening and closing of the knife, but still ensuring that the knife stays locked in position when opened. 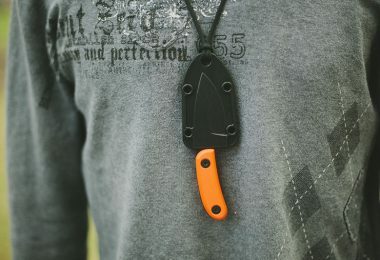 It has a traditional profile that is easy and comfortable to hold and use and it comes with a reversible pocket clip to attach to clothing or gear. Related: It may be nice to have a knife sheath in addition to the clip that comes with the knife – and the Sheath Fixed Knife Brown Sheath isn’t a bad choice. This is a nice genuine leather sheath that can take knives with up to a 1-inch thickness, so it will be able to securely hold your knife in place. 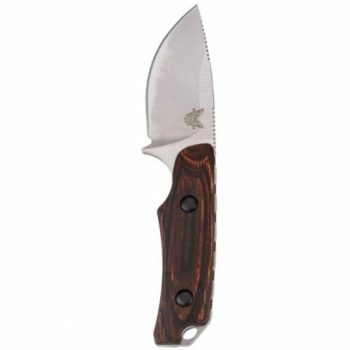 Description: The Benchmade – Barrage 580 Drop-Point Knife is made of high-quality N680 stainless steel with a corrosion resistant G10 handle. The handle is impervious to moisture and can withstand extreme temperature changes. The corrosion resistant steel means the knife can be used in saltwater. It has a sheepsfoot blade style, glass breaker, and safety hook, and is recommended for use in rescue. Since it is a sheepsfoot blade it does not have a sharp point, so its use is limited to slicing. It may thus be a useful knife for a first responder to own. Not having a point means you can’t accidentally stab yourself which is another bonus. It has an ambidextrous AXIS lock that is easily opened with one hand. The assisted opening is a real bonus on this knife. It locks well in position and won’t come open as there is no blade play when open. The handle is not easy to grip though. This knife is comfortable, has a good edge, and is light. The knife also comes with a reversible pocket clip for easy accessibility. Related: To keep your knife nice and sharp it may be useful to buy a sharpener that you can carry with you into the field. There is a nice lightweight high-quality sharpener in the form of the Benchmade 983903F Mini-Field Blister Sharpener. It keeps a decent edge on your knives and is so small and light that it can be kept on a keychain. Dimensions: Blade length: 3.25 in, blade thickness: 0.090 in, open length: 7.42 in, closed length: 4.17 in, handle thickness: 0.37 in. Description: The Benchmade – 530 Plain Spear-Point Knife is a small, light knife that is easy to open and close with one hand using the familiar AXIS mechanism found in Benchmade knives. It is made of high-quality 154CM (58-61 HRC) stainless steel. The blade is spear-point, tough and resistant to rust. It holds an edge well; however, since it is a spear-point it does not have much cutting edge. It does, however, have a very strong sharp tip. It has a Grivory handle which is stable and durable. The overall color is a plain edge or a satin finish. It comes with a lanyard hole and standard clip type with a reversible tip-up clip position. This particular knife is very small compared to many other. This means it may not be suitable for hunting or camping, but more to carry and use for everyday tasks. Being light and very thin, it can be easily stored in a jacket pocket. Related: Since this knife does not come with a sheath or clip, so we recommend buying the Tourbon Brown Leather Fixed Blade Knife Sheath. It is made of leather and since it has a snap, you can rest assured that the knife won’t fall out. 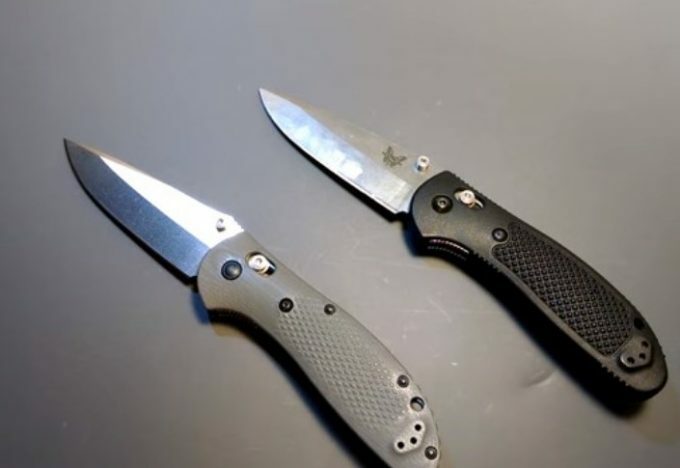 To sum up, choosing the right Benchmade knife ultimately depends on your needs. 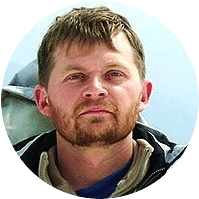 The length and type of the blade, the handle, and the overall size and weight of the knife are all important factors to consider. How you plan on using the knife is also important. For instance, do you want a small lightweight everyday knife or do you want a hunting knife? If you need a hunting knife then you will want a larger knife and probably one with a drop-point blade which has more of a cutting edge. For camping, this blade or a clip-point would be best. Are there other Benchmade knives that you know of that we should include in our list? What other features do you think are important in choosing a Benchmade knife? Let us know what you think in the comment section below!